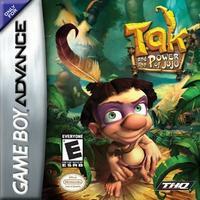 Tak and the Power of Juju is a tale of good vs. evil set in an ancient, tribal world where magic (Juju) really works! Tak, a shaman's apprentice and unlikely hero, sets off on an action-filled, yet humorous journey to save his village from an evil Juju Man. Tak will have to stretch beyond his training and use his wits, his environment and the power of the Juju gods to complete his quest and reinstate peace in his mystical world.